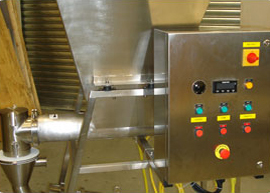 By installing the Model D-6000 ARDE Dispershear in a batter mixing system, production rates of 6,000 pounds per hour (dry batter mix basis) is made possible. 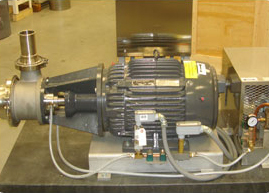 The Model D-6000 ARDE Dispershear has been installed and operating at 10 frozen food manufacturing facilities. 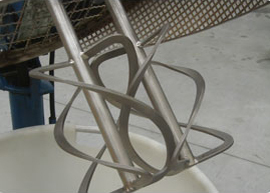 Manufacturers of frozen battered potato products found that the Dispershear could provide a quickly and completely dispersed mixture of high percentages of batter mix. 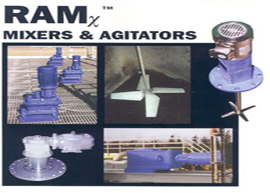 By installing the Dispershear in their existing system, they were able to more than triple the mixing capacity. 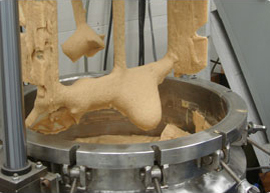 The ARDE Dispershear uses a variable speed volumetric auger feeder to supply a controlled rate of batter mix to a controlled flow of clear liquid or recycled batter. 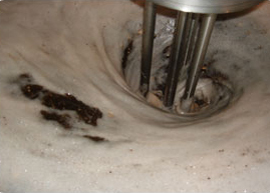 Viscosity adjustments are possible since more batter mix can be instantly dispersed into the existing holding vessel by using a recirculation loop. 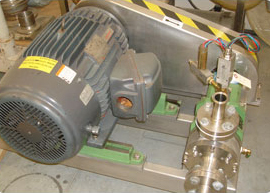 By combining the Model D-6000 Dispershear with a viscosity measurement system, a "smart mixing system" that can respond to viscosity fluctuations is possible.